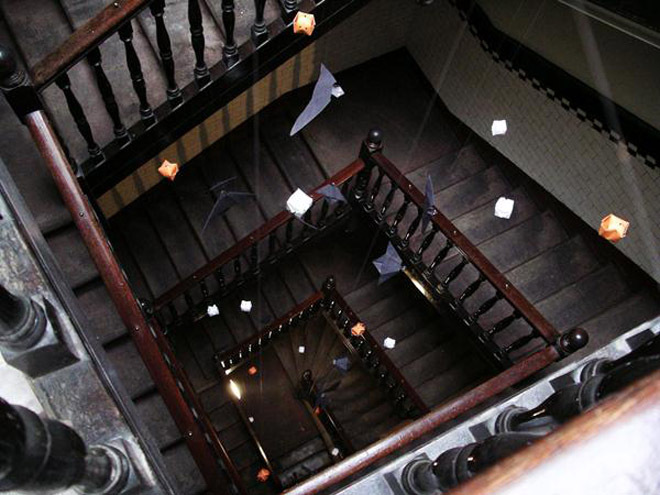 Allistair of Hole in My Pocket (a shop from the UK in our market this month) spent sunday making origami bats, skulls and pumpkins to decorate their stairwell of their outbuilding for Halloween. He mentioned they try and do something every year to surprise the rest of the residents in their block when they step out their apartments in the morning. Wow, I've never been hugely into Halloween, bit these are fantastic! 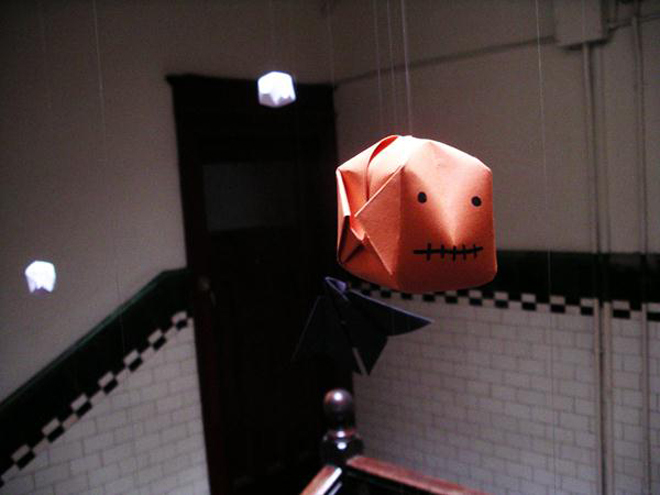 Love an origami project. They are actually really good fun to make (Well the first 30+ were)and are pretty quick too. 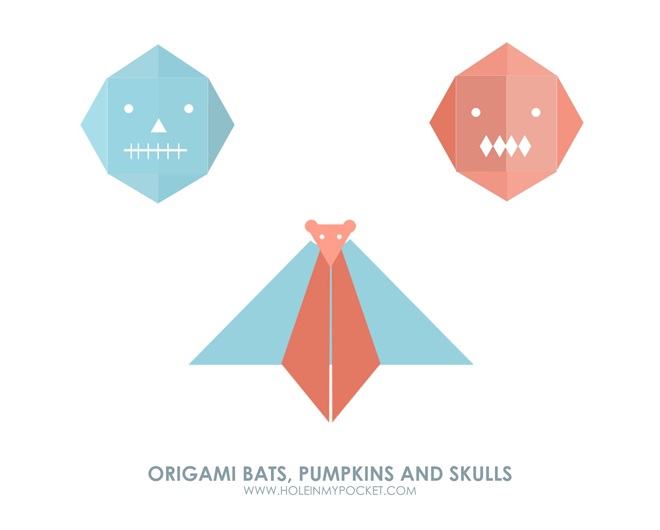 Think the origami method for skulls and pumpkins would work pretty well to make Christmas Baubles come the winter. Might leave the bat template out that time though, unless we go for a nightmare before Christmas theme. Oh how sweet! I'll have to make some of these. Ooooh! Love them so much. Paper play is my THING! 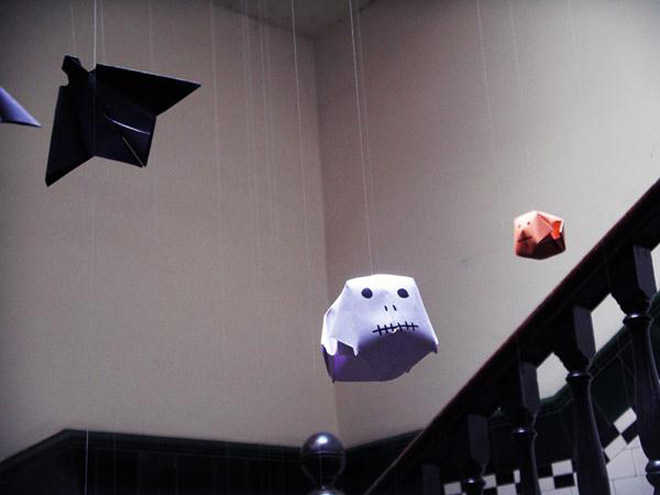 Tweeted them cuz my followers love Halloween Paper Play too!! !